Deck, book (and other items from C.J. and Ana,) can be found in the gift shop in Meow Wolf’s “House of Eternal Return,” Santa Fe, NM, as well as in the Meow Wolf Online Gift Shop. Artist Feature in the February 2019 Meow Wolf Newsletter. Ana’s Interview on “Transitions Radio” of Santa Fe, NM: part 1 – Click HERE; part 2 – Click HERE; part 3 – Click HERE. 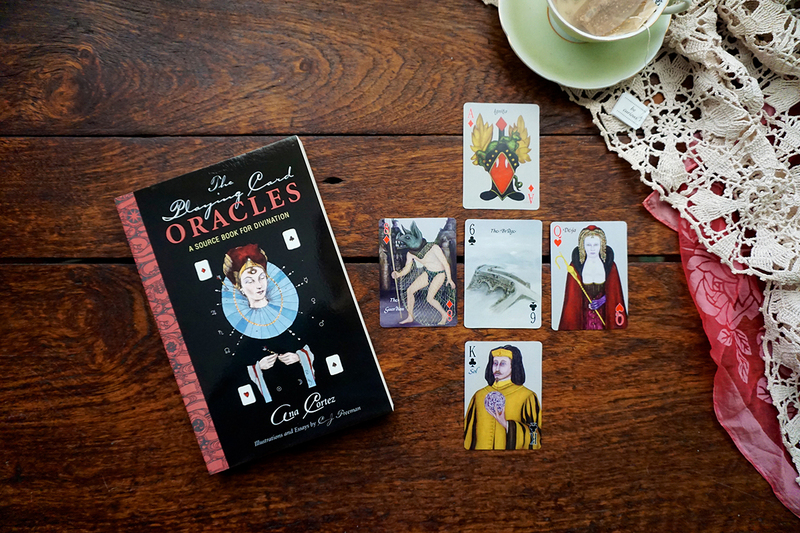 Original Oracle Paintings for this deck can be found in Meow Wolf’s House of Eternal Return (near the tunnel made of old t.v. sets) , and Oracle cards, books, posters, stickers, tee shirts, patches, and lapel pins are for sale in their gift shop.